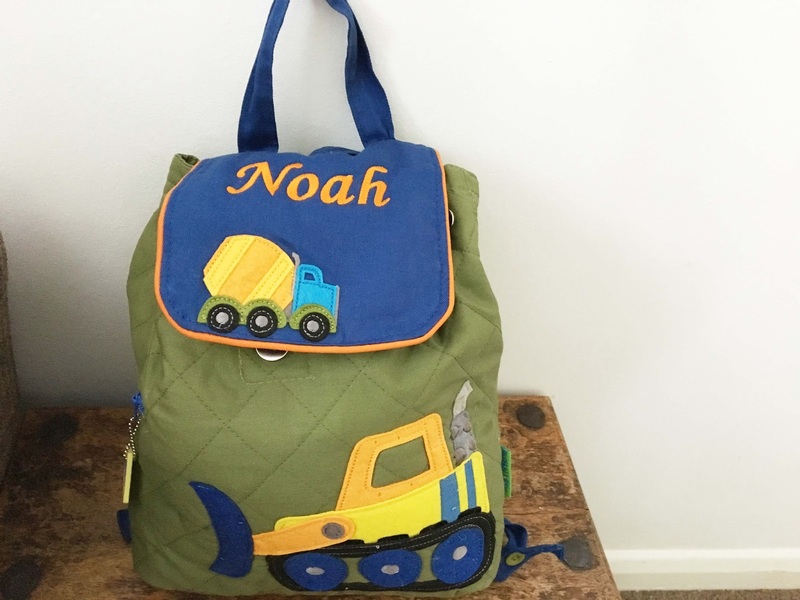 Packing my sons nursery bags is one of those things that always stirs up some kind of mum guilt. What if it rains today? Is he going to look silly if he puts this spare top on with the shorts he's wearing today? Is there enough in there? It never stops. Every week I top up their bags with new things, weather appropriate and usually a whole host of other crap they'll never use. But, it eases my soul. As a nursery nurse myself you think I'd probably have a little understanding of what to pack wouldn't you? So, I'm going to share exactly what goes into the boys bags, and why. Now I'll try to generalise as I'm more than aware that my readers come from around the world and it wouldn't really be useful if I just catered for what we use right here and right now. Again, it also depends on the age of your children, Patrick has just turned one so of course he needs changing items for his stinky bottom whereas Noah has been potty trained for almost two years so would probably think I'd gone off the deep end if I whacked a nappy in his nursery bag. For that reason I'll separate this post into the over two's and under two's, so you can skip right to the relevant part. The plastic bag might seem odd, but if he has an accident, which is very rare, it means all the soiled clothes are contained inside that and not meaning I have to re-wash the clean clothes inside of his bag. Of course, when the seasons change I would be adjusting and adding in gloves and a hat. No matter how warm it is outside I always send Noah with a coat or jacket - even if it remains on his peg all day as for my peace of mind knowing how unreliable the weather is, it helps. A baby gro / sleepsuit. Before you think the worst, I definitely don't expect his keyworkers to change him into a sleepsuit for naps, but if he is ever poorly and I'm on my way to pick him up, it's always nice to know he can have that on and be in his comfies so to speak. It's also helpful if you're ever going anywhere after picking your children up, get stuck in traffic or run late, you can ensure they're ready for bed by the time you get home. *I was sent this product but all thoughts are my own. CALL ME CRAZY - I AM THINKING ABOUT CHRISTMAS. A HOLIDAY WITHOUT CHILDREN - SELFISH OR PERFECT?